Ahh, France! This year, one percent of the people on Earth will actually pack their bags and visit France. Meanwhile, those of us who aren't so lucky will have eaten a croissant, admired a little black dress, drunk a good bottle of wine, and rewatched Amélie on Netflix yet again. This is where I come in: I’m Diana, a huge history nerd who spends too much time reading about the weird, wacky and wonderful history of France, who wants to share its greatest stories with you! We’re talking about a country that ran out of cows and figured out how to eat zebras. We’re talking about a country which snuck its greatest national treasure away from the Nazis in the back of an ambulance. We’re talking about a country whose great revolution fought for brotherhood, equality, and a national holiday for marshmallows. Join us every two weeks for a new episode! “A symphony of a sandwich&#8221; Anthony Bourdain Important News: The Land of Desire is now streaming on Spotify! Get hungry, y&#8217;all. This week we&#8217;re taking a look at the darker side of French history by exploring the history of one of the world&#8217;s best sandwiches, the banh mi! Episode 47: &#8220;The History of the Bánh The post 47. The History of the Bánh Mì appeared first on The Land of Desire.. . .
“Choupette is a rich girl.&#8221; Karl Lagerfeld Important News: The Land of Desire is now streaming on Spotify! Dear listeners, I had an entirely different episode lined up for this week, notes prepared, outline finished, ready to be transformed into a script. Then I woke up on Tuesday morning to the news that Karl Lagerfeld, The post 46. Choupette, The Most Glamorous Cat In The World appeared first on The Land of Desire.. . .
“I had to wait 110 years to become famous&#8230; I intend to enjoy it as long as possible.&#8221; &#8211; Jeanne Calment Happy New Year, everyone! Thanks so much for your patience while this podcast host enjoyed a trip to Japan, a 30th birthday, and a very necessary break. I&#8217;m super energized to be back, with The post 45. The Mysterious Life of Jeanne Calment appeared first on The Land of Desire.. . .
“From the sublime to the ridiculous is but a step.&#8221; &#8211; Napoleon Bonaparte Before we all gorge ourselves on turkey and stuffing, it&#8217;s time for the conclusion of Napoleon Bonaparte’s tiniest war. Now, if you’re like me and hate military history, don’t tune out just yet &#8211; the battlefield is small, and the only casualty The post 44. Napoleon&#8217;s Tiniest Campaign, Part 2 appeared first on The Land of Desire.. . .
“From the sublime to the ridiculous is but a step.&#8221; &#8211; Napoleon Bonaparte This week we’re going to explore a little-known footnote of history: Napoleon Bonaparte’s tiniest war. Now, if you’re like me and hate military history, don’t tune out just yet &#8211; the battlefield is small, and the only casualty is &#8211; well, I The post 43. Napoleon&#8217;s Tiniest Campaign appeared first on The Land of Desire.. . .
“I only drink Champagne when I’m happy and when I’m sad.” &#8211; Lily Bollinger The Land of Desire turns 2 years old! We&#8217;re celebrating with &#8211; what else? &#8211; champagne! Pop, fizz, salut: we&#8217;re going deep into the history of the world&#8217;s favorite party drink to find out what makes bubbly so special, what makes The post 42. The History of Champagne appeared first on The Land of Desire.. . .
&#8220;With enough butter, anything is good.&#8221; &#8211; Julia Child, The French Chef Yes, you&#8217;re seeing things correctly: not one, but TWO new episodes in a single day. Consider this my je suis desolee for the three months&#8217; absence. Picking up right where we left off in episode 2, Julia Child is halfway through her grand cookbook project The post 41. Julia Child, Part 3 appeared first on The Land of Desire.. . .
“The big job now rests on your shoulders.&#8221; &#8211; book editor to Julia Child Hello again, everyone! I know it&#8217;s been awhile, and in this episode I&#8217;ll discuss the reason for my long absence. Thank you to everyone who reached out with questions, concerns and care over the past few months. It&#8217;s meant so much The post 40. Julia Child, Part 2 appeared first on The Land of Desire.. . .
“In France, cooking is a serious art form and a national sport.&#8221; &#8211; Julia Child Hello everyone! Welcome back to The Land of Desire. The first episode of 2018 is finally here! his year, we’re kicking things off with a salute to one of France’s most curious cultural ambassadors &#8211; a woman who has helped generations of The post 39. Julia Child, Part 1 appeared first on The Land of Desire.. . .
“Where are you, best of the salt sea?&#8221; &#8211; Middle French poem, 14th century Hello everyone! Welcome back to The Land of Desire. Thanks for your patience while I spent some quality time with family at Thanksgiving and celebrating my birthday in NYC. This week we&#8217;ll continue our miniseries: &#8220;A Tour de France&#8221;: What kind The post 38. A Tour de France &#8211; Brittany appeared first on The Land of Desire.. . .
“Good wine is a necessity of life for me.&#8221; &#8211; Thomas Jefferson Hello everyone! Welcome back to The Land of Desire. Thanks for your patience while I spent some quality time with family at Thanksgiving and celebrating my birthday in NYC. This week we&#8217;ll continue our miniseries: &#8220;A Tour de France&#8221;: What kind of France The post 37. A Tour de France &#8211; Bordeaux appeared first on The Land of Desire.. . .
“Cassoulet is not a recipe; it’s an argument among villages.” &#8211; Andre Daguin Hello everyone! Welcome back to The Land of Desire. Thanks for your patience while I spent some quality time with family at Thanksgiving and celebrating my birthday in NYC. This week we&#8217;ll continue our miniseries: &#8220;A Tour de France&#8221;: What kind of The post 36. A Tour de France &#8211; Toulouse appeared first on The Land of Desire.. . .
“It is always an event at Marseilles for a ship to come into port.&#8221; &#8211; Alexandre Dumas Hello everyone! This week we&#8217;ll continue our new miniseries: our very own Tour de France. What kind of France exists outside the boundaries of Paris? What kind of France exists in the middle of the countryside? What does The post 35. A Tour de France &#8211; Marseille appeared first on The Land of Desire.. . .
“You never see anyone in the countryside.&#8221; &#8211; Jacquou le Croquant Hello everyone! This week we&#8217;ll continue our new miniseries: our very own Tour de France. What kind of France exists outside the boundaries of Paris? What kind of France exists in the middle of the countryside? What does someone in Paris have in common The post 34. A Tour de France &#8211; Lyon appeared first on The Land of Desire.. . .
“We shall see much, but learn very little.&#8221; &#8211; Jean Ognier Hello everyone! After a much needed vacation, I&#8217;m excited to return with a brand new miniseries: our very own Tour de France. What kind of France exists outside the boundaries of Paris? What kind of France exists in the middle of the countryside? What The post 33. A Tour de France &#8211; Montgeron appeared first on The Land of Desire.. . .
“We have never retreated from anything, ever.&#8221; &#8211; Stéphane Sirot, labor historian Hello everyone! This week&#8217;s episode is a bit timelier than usual &#8211; I thought it would be an interesting experiment to dive deeper into some of France&#8217;s biggest headlines today. As the French return from their holidays and I prepare to leave for The post 32. Le Code du Travail appeared first on The Land of Desire.. . .
“A line of railway tracks, like a zipper, speeding open to the south, to Marseille, to Nice and the Côte d’Azur” &#8211; Sylvia Plath, 1956 Hello everyone! This week&#8217;s episode is a bit late, as a certain podcast host&#8217;s bathtub stopped working, flooded her entire apartment, and delayed things a wee bit. Thanks for your The post 31. Le Train Bleu appeared first on The Land of Desire.. . .
“A Moveable Feast.&#8221; &#8211; Ernest Hemingway We have a new milestone! This week, The Land of Desire will reach a quarter of a million downloads &#8211; absolutely incroyable. Thank you to everyone who participated in The Land of Desire&#8217;s anniversary celebrations, and to those of you who shared my series on how to start a podcast, and The post 30. The History Of The Picnic appeared first on The Land of Desire.. . .
“We are locked in history and they were not.&#8221; &#8211; Werner Herzog We&#8217;re back! Thank you to everyone who participated in The Land of Desire&#8217;s anniversary celebrations. Extra thanks to those of you who shared my series on how to start a podcast, and those of you who contributed to the show&#8217;s Patreon page. This The post 29. The Caves of Lascaux appeared first on The Land of Desire.. . .
“Bienvenue and welcome to The Land of Desire.&#8221; &#8211; me, 7/14/2016 WE DID IT! This Friday, The Land of Desire officially turns one year old! I&#8217;m completely blown away by everything that&#8217;s happened in the last year &#8211; getting featured on the iTunes Store, getting played on the CBC (twice! ), getting to hear from fans all The post 28. Bon Anniversaire! appeared first on The Land of Desire.. . .
“Nobody goes there anymore. It&#8217;s too crowded.&#8221; &#8211; Yogi Berra This week, we&#8217;ll wrap up our series &#8220;We&#8217;ll Always Have Paris&#8221; focusing on the history of tourism in France. Paris is in many ways a city constructed by and for tourism: tourism shapes which landmarks are preserved, which civic resources are available, and whose needs are prioritized. The post 27. We&#8217;ll Always Have Paris &#8211; Paris Syndrome appeared first on The Land of Desire.. . .
“Everyone in Paris once.&#8221; &#8211; German military catchphrase This week, we&#8217;ll continue our series &#8220;We&#8217;ll Always Have Paris&#8221; focusing on the history of tourism in France. Tuesday was D-Day, so let&#8217;s take a look at an understudied element of the hospitality industry: occupation tourism. What happens when an entire army comes to town? What happens when your conquerors The post 26. We&#8217;ll Always Have Paris &#8211; A Visit from Hitler appeared first on The Land of Desire.. . .
“I have come to liberate the Ritz.” &#8211; Ernest Hemingway This week, we&#8217;ll continue our series &#8220;We&#8217;ll Always Have Paris&#8221; focusing on the history of tourism in France. I don&#8217;t know about you, but after all this history, I could use a drink! Luckily, I know just the place. This week, we sneak behind the bar The post 25. We&#8217;ll Always Have Paris &#8211; The Ritz Paris Bar appeared first on The Land of Desire.. . .
&#8220;A public monument is not there just for lovers.&#8221; &#8211; city official, Paris (2014) Now that summer&#8217;s around the corner, Paris is bracing itself for the annual influx of tourists. With 36 million tourists passing through Paris every year, tourism has a profound influence on the capital and the country at large. Tiny trends morph into The post 24. We&#8217;ll Always Have Paris &#8211; Love Locks appeared first on The Land of Desire.. . .
&#8220;No one but myself knows&#8230;the trouble I give myself.&#8221; &#8211; Claude Monet What are you doing April 26th? If you&#8217;re in San Francisco, the answer could be seeing ME, your friendly neighborhood podcast host, helping to launch the Legion of Honor&#8217;s newest book club, Page Views. In honor of their newest exhibition, Monet: The Early Years, The post 23. Four&#8217;s Company &#8211; The Scandalous House of Claude Monet appeared first on The Land of Desire.. . .
&#8220;Life is the flower for which love is the honey.&#8221; &#8211; Victor Hugo Spring is in the air! After such a spooky, scary episode last month, I&#8217;m keeping the newest episode short and, dare I say it, sweet! This week, we take a detour into the life of French bees to learn more about their surprising history, The post 22. The Sweet Life of French Bees appeared first on The Land of Desire.. . .
&#8220;Où est-elle la mort ? Toujours future ou passée. A peine est-elle présente, que déjà elle n’est plus.&#8221; &#8211; inscription, Paris catacombs This week we&#8217;re drilling deeeeeeep into the history of Paris, all the way through the layers of modern construction, past the detritus of two thousand years of civilization, all the way into the The post 21. The Road To Hell &#8211; Entering the Catacombs appeared first on The Land of Desire.. . .
&#8220;One has always had a childhood, whatever one becomes.&#8221; &#8211; Alexandre Dumas fils This week, we&#8217;ll conclude my mini-series about the three men named Alexandre Dumas: Alexandre Dumas the war hero; his son, Alexandre Dumas the author; and his grand-son, Alexandre Dumas the playwright. Together, all three men rose to the top of their professions, garnering tremendous fame The post 20. The Three Alexandres, Part 4 &#8211; The Playwright appeared first on The Land of Desire.. . .
&#8220;Why do you mention my father?&#8221; screamed he; &#8220;Why do you mingle a recollection of him with the affairs of today?&#8221; &#8211; Edmond Dantes, The Count of Monte Cristo (Alexandre Dumas) This week, I&#8217;m continuing my mini-series about the three men named Alexandre Dumas: Alexandre Dumas the war hero; his son, Alexandre Dumas the author; and his The post 19. The Three Alexandres, Part 3 &#8211; The Author appeared first on The Land of Desire.. . .
18. The Three Alexandres, Part 2 – The General, continued. “Oh my god! My god! What have I done?&#8221; &#8211; General Dumas, 1806 This week, I&#8217;m continuing my mini-series about the three men named Alexandre Dumas: Alexandre Dumas the war hero; his son, Alexandre Dumas the author; and his grand-son, Alexandre Dumas the playwright. Together, all three men rose to the top of their professions, garnering tremendous The post 18. The Three Alexandres, Part 2 &#8211; The General, continued. appeared first on The Land of Desire.. . .
“Men are born and remain free and equal in rights.&#8221; &#8211; Declaration of the Rights of Man and of the Citizen, 1789 This week, I&#8217;m kicking off a new mini-series about the three men named Alexandre Dumas: Alexandre Dumas the war hero; his son, Alexandre Dumas the author; and his grand-son, Alexandre Dumas the playwright. The post 17. The Three Alexandres, Part 1 &#8211; The General appeared first on The Land of Desire.. . .
“Secrecy is the soul of the Compagnie.&#8221; &#8211; La Compagnie statutes Welcome back to The Land of Desire, a French history podcast dedicated to exploring all the weird adventures, mysteries and surprising backstories behind French cultural icons. Happy New Year! I can&#8217;t wait to share another year of stories with all of you. To kick things off, The post 16. The Noblemen Who Dressed In Rags appeared first on The Land of Desire.. . .
“The yule-log sparkled keen with frost, No wing of wind the region swept, But over all things brooding slept The quiet sense of something lost.&#8221; &#8211; Alfred, Lord Tennyson Welcome back to The Land of Desire, a French history podcast dedicated to exploring all the weird adventures, mysteries and surprising backstories behind French cultural icons. The post 15. Bûche de Noël (The Yule Log) appeared first on The Land of Desire.. . .
“omg.&#8221; – me, December 2016 Welcome back to The Land of Desire, a French history podcast dedicated to exploring all the weird adventures, mysteries and surprising backstories behind French cultural icons. After coming back from a long holiday, I checked my download stats and realized I&#8217;d just passed an amazing milestone: 100,000 downloads!! I&#8217;m blown away, considering this show The post 14. 100,000! appeared first on The Land of Desire.. . .
&#8220;Long live the Republic! Long live the truth!&#8221; &#8211; Alfred Dreyfus, 1899 Welcome back to The Land of Desire, a French history podcast dedicated to exploring all the weird adventures, mysteries and surprising backstories behind French cultural icons. This week we conclude our series on The Dreyfus Affair: one of the most definitive moments in The post 13. The Dreyfus Affair, Part 6 appeared first on The Land of Desire.. . .
&#8220;The dawn of justice was rising for me.&#8221; &#8211; Alfred Dreyfus, 1899 Welcome back to The Land of Desire, a French history podcast dedicated to exploring all the weird adventures, mysteries and surprising backstories behind French cultural icons. This week we continue our series on The Dreyfus Affair: one of the most definitive moments in The post 12. The Dreyfus Affair, Part 5 appeared first on The Land of Desire.. . .
&#8220;All men interested &#8211; that is, all lovers of truth and justice throughout the world &#8211; held their breath, and waited.&#8221; &#8211; George Barlow, 1898 Welcome back to The Land of Desire, a French history podcast dedicated to exploring all the weird adventures, mysteries and surprising backstories behind French cultural icons. This week we continue The post 11. The Dreyfus Affair, Part 4 appeared first on The Land of Desire.. . .
&#8220;My duty is to speak out!&#8221; &#8211; Emile Zola, J&#8217;Accuse!, 1898 Welcome back to The Land of Desire, a French history podcast dedicated to exploring all the weird adventures, mysteries and surprising backstories behind French cultural icons. This week we continue our series on The Dreyfus Affair: one of the most definitive moments in French history. The post 10. The Dreyfus Affair, Part 3 appeared first on The Land of Desire.. . .
&#8220;Fear! That is their political means. They engender it, they inoculate it, and, once they&#8217;ve frightened a certain class of citizens, they present themselves as saviors&#8221; &#8211; Leon Gambetta Welcome back to The Land of Desire, a French history podcast dedicated to exploring all the weird adventures, mysteries and surprising backstories behind French cultural icons. This The post 9. The Dreyfus Affair, Part 2 appeared first on The Land of Desire.. . .
“Lord, we are a guilty, woeful country.&#8221; &#8211; National Assembly Prayer, May 1871 Welcome back to The Land of Desire, a French history podcast dedicated to exploring all the weird adventures, mysteries and surprising backstories behind French cultural icons. This week we examine the climax of the Belle Époque, the moment when all the cultural The post 8. The Dreyfus Affair, Part 1 appeared first on The Land of Desire.. . .
“Gourmet /n./ Anyone whom, when you fail to finish something strange or revolting, remarks that it’s an acquired taste and that you’re leaving the best part.” – Anonymous Welcome back to The Land of Desire, a French history podcast dedicated to exploring all the weird adventures, mysteries and surprising backstories behind French cultural icons. This The post 7. A Long Way To Escargot appeared first on The Land of Desire.. . .
“Her name is Berthe Morisot, and she is a curiosity.&#8221; – Le Figaro, 1880 Welcome back to The Land of Desire, a French history podcast dedicated to exploring all the weird adventures, mysteries and surprising backstories behind French cultural icons. This week&#8217;s episode continues my new series which I&#8217;m really excited about: La Belle Époque, the The post 6. Manet &#038; Morisot &#038; Manet appeared first on The Land of Desire.. . .
“Nobody is ever gonna listen to this.&#8221; – me, July 2016 Welcome back to The Land of Desire, a French history podcast dedicated to exploring all the weird adventures, mysteries and surprising backstories behind French cultural icons. This week, I&#8217;m offering a BONUS episode to celebrate&#8230;10,000 DOWNLOADS! Considering I only launched this podcast 8 weeks ago, I&#8217;m The post BONUS &#8211; 10,000! appeared first on The Land of Desire.. . .
“No social being is less protected than the young Parisian girl – by laws, regulations, and social customs. – Le Figaro, 1880 Welcome back to The Land of Desire, a French history podcast dedicated to exploring all the weird adventures, mysteries and surprising backstories behind French cultural icons. This week&#8217;s episode continues my new series which The post 5. Belles of the Belle Epoque appeared first on The Land of Desire.. . .
&#8220;The old Paris is passing.&#8221; Welcome back to The Land of Desire, a French history podcast dedicated to exploring all the weird adventures, mysteries and surprising backstories behind French cultural icons. This week&#8217;s episode marks the beginning of a series I&#8217;m really excited about: La Belle Époque, the Golden Age of Paris. In the years The post 4. A Tale of Two Cities (No, Not That One) appeared first on The Land of Desire.. . . Faster, higher, stronger. Welcome back to The Land of Desire, a French history podcast dedicated to exploring all the weird adventures, mysteries and surprising backstories behind French cultural icons. I originally intended to follow up my episode on the Siege of Paris with the beginning of a series on the Commune. Instead, I found myself glued The post 3. The Olympics appeared first on The Land of Desire.. . .
Dinner is served. Welcome back to The Land of Desire, a French history podcast dedicated to exploring all the weird adventures, mysteries and surprising backstories behind French cultural icons. For the next two episodes, we&#8217;re going to focus on war, food, and how much a country&#8217;s food culture is the result of military conflict. If that sounds boring, how The post 2. We Ate A Zoo appeared first on The Land of Desire.. . .
Joyeux Quatorze Juillet! Welcome to The Land of Desire, a French history podcast dedicated to exploring all the weird adventures, mysteries and surprising backstories behind French cultural icons. We&#8217;re kicking things off with a bang! Today, France celebrates itself with parades, picnics, and of course, the traditional fireworks. July 14th &#8211; &#8220;Bastille Day&#8221; to Americans &#8211; is The post 1. Bastille Day appeared first on The Land of Desire.. . . The post 0. 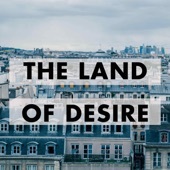 The Land of Desire Teaser appeared first on The Land of Desire.. . . 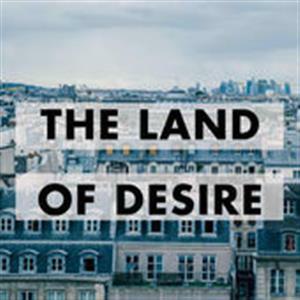 Welcome to The Land of Desire, a podcast on French history and culture. You&#8217;re a bit early &#8211; I&#8217;m planning to debut the first episode on July 14th, covering what else but Bastille Day! In the meantime, drop me a line if you have questions and I&#8217;ll look forward to sharing with everyone soon! The post Bienvenue! appeared first on The Land of Desire.. . .